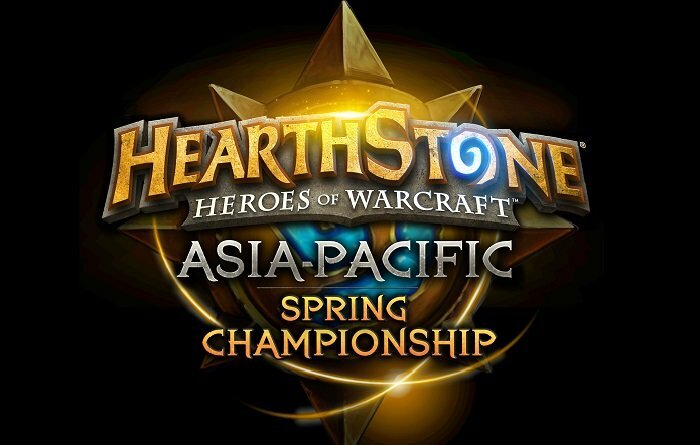 The Asia-Pacific (APAC) Spring Championship takes place this weekend, 18-19 June. The winner will go to the World Championship at BlizzCon later in the year. The event will follow the same format as the Europe Championship, which means it will be single elimination best of 7 Conquest, with a ban. I have highlighted three of the players to look out for. HandsomeGuy took it all the way to the last game of the final in the APAC Winter Championship. He has again qualified by virtue of being the top points earner in the entire APAC region. Since April 2015, he has placed top ten on ladder on seven different occasions, including #1 in August, which makes him one of the best ladder players in the world. Jako1910 only started playing Hearthstone when the Japanese language version opened in October 2015. He is an accomplished Freeze Mage player, and this showed when he won the Japan Preliminary. His style at that event involved taking well known decks and playing them very well. Although an unknown quantity to many, he is more than capable of winning this event. Pinpingho reached the semi-final stage of this event in winter, losing out to eventual winner DDaHyonNi. He also reached the quarter-finals of the World Championship in 2015, where he again lost to the winner, Ostkaka. Considered something of a Shaman specialist, he has amassed nearly $25,000 in career earnings, so he is clearly a well-rounded player. The other players in the event are: KillerHero, HeisnotAxel, Caster, EdwardElric, and Foot. Keep an eye on the rivalry between South Korea and Taiwan, and the rest of the region. Those two nations get two qualifying spots, while the others get one. The representatives of the other areas will be supported heavily by their compatriots as they make the case for getting more places in the future. The event will be broadcast live on Blizzard's official Twitch channel on June 18-19, starting at 6am CEST.